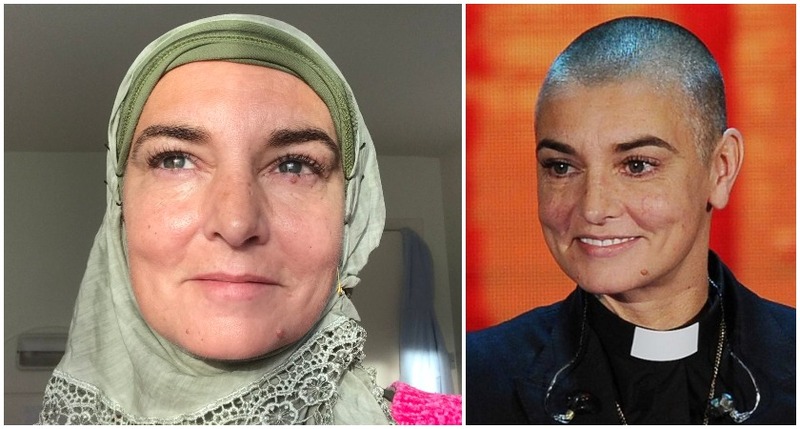 SINEAD O'Connor has deactivated her Twitter account after facing a barrage of criticism this week over racist comments she made in the wake of her recent conversion to Islam. The Irish musician, who changed her name to Shuhada' Davitt after becoming a Muslim last month, was accused of inciting racial hatred by other Twitter users after saying she would no longer associate with "disgusting" white people and non-Muslims on Monday. In one post, she wrote: "I'm terribly sorry. What I'm about to say is something so racist I never thought my soul could ever feel it. "But truly I never wanna spend time with white people again (if that's what non-muslims are called). The Nothing Compares 2 U singer later concluded her bizarre rant with the message: "Final word. If it’s ‘crazy’ to care. Then by all means, spank my a** and call me fruity loops." The tweets came despite the 51-year-old telling followers she would be taking a break from social media after converting to Islam. But it appears she has now done just that, as her most recent Twitter page @MagdaDavitt77 no longer exists. Only her old official Twitter account @SineadOconnorHQ remains online, but O'Connor does not appear to have used the page for a number of years. The singer's ill-considered tweets earlier this week drew thousands of replies - few of them positive. One user, who described herself as a 'White Muslim', wrote that "there is never any excuse for racism". Another posted: "No one's ethnicity makes them disgusting, no matter which individuals you've encountered. Likewise, we shouldn't condemn/generalise all non-Muslims as disgusting, especially by citing ethnicity. The Quran says they're not all the same." Last year, O'Connor sparked concern after sharing a 12-minute video saying she was having "suicidal thoughts" and living at a Travelodge. The Dubliner later underwent intensive mental health treatment in the US with the help of TV personality Dr Phil.